Outlook Web App 2013 and its morphing user interface (June 27): Microsoft gave Outlook Web App yet another makeover in Exchange 2013. The RTM version was slow and misses functionality, some of which (like public folder support) have turned up in CU1. Apart from complying with Microsoft’s new design guidelines, OWA 2013 is much better at coping with the demands of different forms of devices, so we discuss how OWA deals with tablet, touch, and smartphone devices. Exchange 2013’s version differences and testing difficulties (June 25): We seldom encounter a situation where a new major version of a software product seamlessly interoperates with previous versions. Such is the case with Exchange 2013 where architectural changes mean that its interaction with Exchange 2010 and Exchange 2007 servers is sometimes problematic. Or even when Exchange 2013 servers transfer information between each other… The devil is definitely in the detail. Statistics, vile lies, and mailbox data (June 20): By now you’re probably aware that the mailbox sizes reported by Exchange 2013 differ (considerably) from those reported by earlier versions because Exchange 2013 is better at counting the database overhead incurred by mailboxes. But something else is afoot because some new mailbox properties have turned up in Exchange Online. The question is what will those properties be used for? Once a quarter is not once every thirteen weeks (for Exchange 2013 cumulative updates) (June 18): When Microsoft announced details of the new servicing model for Exchange 2013, they said that cumulative updates would be released once a quarter. Most assumed that this means literally once every thirteen weeks, but that’s not the case. 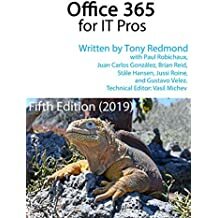 Exchange 2013 books gradually appear – deployments must be starting (June 13): Writing a book about a software product that appears when the product first ships means that you end up describing beta code. Microsoft’s new servicing model for Exchange 2013 also means that we have to cope with constant change, which makes writing books very difficult indeed. But some good books have started to appear – and maybe these books are based on real-life experience of code that’s newer than RTM. We live in hope. Suppressing the journaling of Exchange 2013 Managed Availability synthetic messages (June 11): Managed Availability is one of the more interesting, if not the most interesting, new feature introduced in Exchange 2013. But it does create some awful chatter in terms of the synthetic messages that are sent to make sure that databases are functioning correctly. And you don’t want these messages to end up in journal repositories as they’re not really interesting. This post discusses some of the options. Fantastic session line-up selected for Exchange Connections (June 10): Exchange Connections comes around in Las Vegas next October and we have a great line-up of sessions from MVPs, other industry experts, some of Microsoft’s most experienced support personnel who will cover the intricacies of modern public folders and DAGs, and even some of the well-known members of the Exchange product group. Come along and join us! Database limits head north in Exchange 2013 CU2 while LinkedIn causes headaches elsewhere (June 5): Microsoft took the opportunity afforded by TechEd North America to report that CU2 increases the limit for mounted databases on a mailbox server back to 100 from 50. The reduction from 100 supported by Exchange 2010 was a side-effect of rewriting the Store using managed code. Now that Microsoft has had the chance to do the necessary performance testing and see how Exchange 2013 works in production environment, they figure it’s OK to go back up. And in other news, LinkedIn caused a fuss when it was revealed that they use Exchange Web Services (EWS) to read contacts from Exchange to publish them in personal LinkedIn accounts. It just doesn’t seem right, but you can block this from happening. Comparing results from different calculators is a fool’s game (and Exchange 2010 SP3 RU1) (June 4): People love configuration tools to help planning the hardware necessary to run applications. Exchange 2010 has a nice mailbox server calculator as has Exchange 2013. However, the huge difference in the relative internal architectures means that you cannot compare the results output from the Exchange 2010 calculator with those produced by the Exchange 2013 calculator, however much you’d like to. I explain why here. July has already started well with the release of Exchange 2013 CU2 (I’ll post my views on CU2 on Exchange Unwashed tomorrow). Stay tuned! This entry was posted in Email, Exchange and tagged Exchange 2013 books, Exchange 2013 CU2, Exchange Connections, Exchange Web Services, LinkedIn, Outlook Web App. Bookmark the permalink. Bad news for small businesses….